They’re uncomfortable sights, even for seasoned ringside aficionados: A deaf man and his opponent–paralysed from the waist down–bound at both hands and feet, reduced to head butting. Two men, normally wheelchair bound, writhe around on the canvas ring delivering blows to one-another with their elbows. It feels dangerous, almost wrong. The members of Doglegs, the self-described “superhandicapped” pro wrestling league, aren’t looking for your pity, however. They want you to watch, wide-eyed, and feel the power, the ability, and the fire hidden inside their unusual frames. The idea for Doglegs was born in 1991 at a volunteer group for the disabled. Two men were arguing over a mutual romantic interest, and as the argument became more heated punches were thrown and a brawl began. The group went wild, both fighters and spectators, at the sudden, electrical feeling of strength and empowerment the fight had given them. 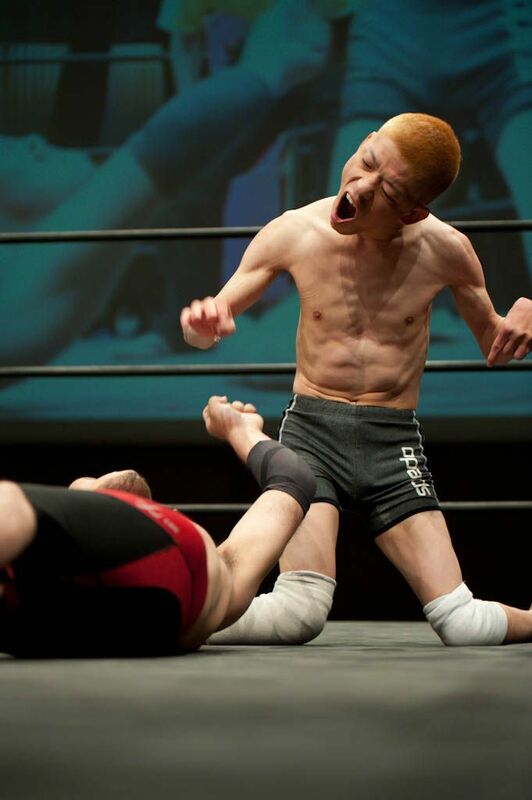 The leader of the volunteer group saw the potential: pro wrestling as a platform for these fiery fighters to be seen, and to challenge the public’s views towards disability. Fast-forward 20 years and Doglegs has developed quite a following, with public tournaments several times a year and somewhere around 30 fighters dogging it out. Disabilities range from those physically able-bodied, but afflicted with mental illnesses like alcoholism and clinical depression, to “miracle heavy class”, where fighters are unable to stand. Audience members are often also disabled or come from the disabled care community, along with a core base of able bodied supporters and fans. But regardless of their background, after seeing a Doglegs match viewers are left with much to think regarding their preconceptions of the disabled. Director Heath Cozens wants to spread this mind-blowing opportunity to a wider audience. For the past three years, he has been documenting the lives of Doglegs wrestlers, with the hope of introducing their struggles and glories to people in and outside of Japan. 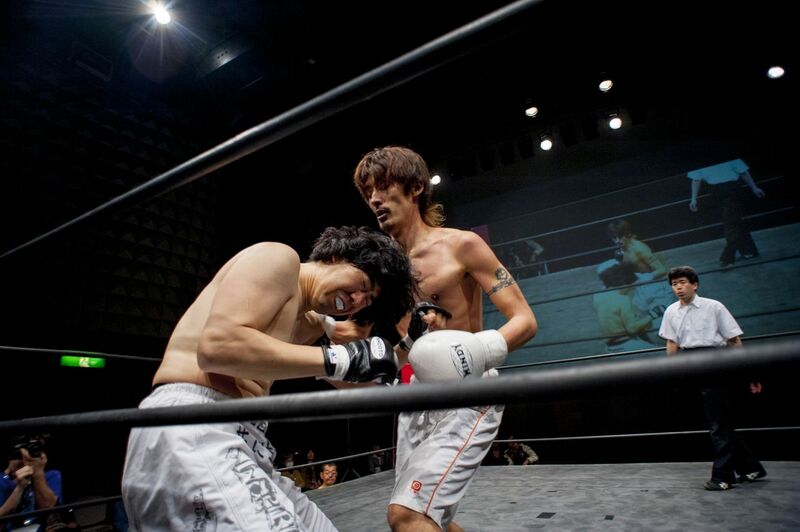 His film centers around “Sambo” Shintaro, a man with cerebral palsy who is one of the heartbroken brawlers from the very first Doglegs fight. After 20 years, Shintaro is ready to retire from the league and focus on living a happy, normal life. Doglegs leader and organiser of the original volunteer group, Yukinori “Antithesis” Kitajima won’t make it easy on him, however. The able-bodied fighter challenges Shintaro to the match of a lifetime, on which his future hangs. The bouts may be difficult to watch for some–seemingly “weak” people being violently beaten for the sake of entertainment. But that uncomfortableness is part of the film. For those who want a sneak peek of what it’s all about, on June 2, the crew will be hosting a fundraiser to help raise awareness of the film and funds to complete post-production. Along with live music and special guests, the event will feature two real, live Doglegs matches–an opportunity for attendees to find out how empowering disabled pro wrestling can be, for both them and the fighters. Check out http://doglegsmovie.com/ for more info about the Doglegs documentary, and get details for Party for the Right to Fight! on Sunday, June 2 at Las Chicas in Aoyama.